Dual Blades are very fast weapons in Monster Hunter Generations. You can link multiple attacks and the hunter arts are fast-paced as well. They also get a Demon Mode that gives them different attacks and combos, but drains stamina in the process. 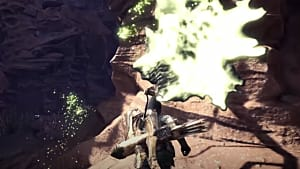 Dual Blades are good weapons to start with if you are new to the game or like fast combat. Just prepare to use whetstones to keep the sharpness up. 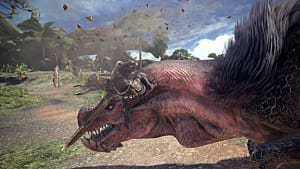 I'm going to over the basics and give some tips at getting better with Dual Blades. Basic Controls - The different things you can do with Dual Blades. Demon Mode - How it works and why it is important. 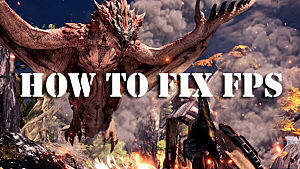 Extra Tips - Tips to help you get better at using Dual Blades. When you activate Demon Mode, you get increased attack and Knockback Protection. It also changes many of your attacks, as seen in the Controls section above. Your stamina continually drains while in Demon Mode, and you will leave it when you run out of stamina, get knocked in the air, flinch at a roar, or manually turn it off. When you land attacks in Demon Mode, you fill the Demon Gauge and enter Archdemon Mode when the gauge is full. The Demon Gauge also depletes over time. 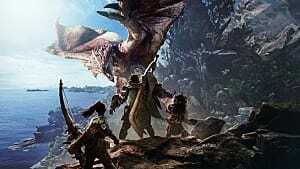 I won't go over the general info on the 4 Styles -- if you want you can check out my Beginner Tips and Tricks for more details -- but I will let you know how they affect Dual Blades. Guild is the standard, with access to all abilities and normal mechanics. It is great if you want to standard experience and have more than 1 Hunter Art. Striker is very similar to Guild, except you can't enter Archdemon Mode. It is is still a good one to use if you are new and you get 3 Hunter Arts. 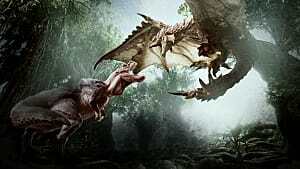 Aerial is best if you want to mount monsters or attack from the air. It also changes the Demon Mode Blade Dance to Demon Flurry Rush, which is not as big of a combo. 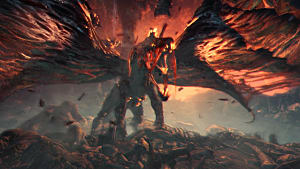 You get access to a nice aerial attack while in demon mode that attacks in the air and spins when landing. I usually pick this Hunter Style because of the flashy attacks. Adept is another style that fits Dual Blades very well because of how fast you move. You are constantly attacking and dodging, plus you get a faster dodge while in Demon Mode. This allows you to more easily dodge attacks and use the Insta-moves. Blood Wind - Spins around with slicing attacks while moving. You can change direction twice. Aerial Slam - Rush off a ledge to perform a spinning aerial attack. If you connect, you can follow up with an aerial drop attack. Wolf's Maw - Gives you a buff that allows you to deal 2 hits with a single swing. I usually stay away from Aerial Slam because it requires you to jump off a ledge, so the monster will have to be positioned correctly. Blood Wind is fun to use and takes less time to charge, so I usually go with that. Wolf's Maw is also a good choice. You do many attacks, so your sharpness goes down faster. Go for weapons that have high sharpness, and get skills that reduce sharpening time. Dual Blades is all about many attacks, so you will want to attack every moment you can. Just be sure to pay attention and dodge when needed. Demon Mode constantly depletes Stamina, plus you use a lot from all the attacking. Eat meals that raise Stamina before a quest, and have plenty of meat to raise stamina during the quest. 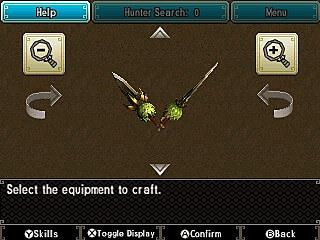 That's it for my Monster Hunter Generations Dual Blades guide. Let me know if you have any questions!